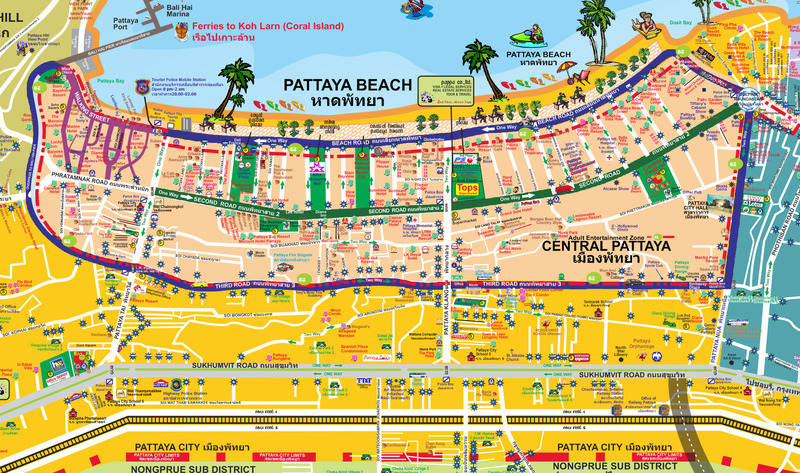 Pattaya is a city in its own right, with its own mayor and administration system. Thanks to a government development program for the Eastern Seaboard (including Chonburi and Rayong), the region has enjoyed rapid industrial and commercial expansion. A new deep-sea port (Laem Chabang) is located just 20 km north of Pattaya, featuring a vast industrial estate, while another development zone is located near Rayong to the south. n total, there are now 12 industrial estates on the Eastern Seaboard, making it an important industrial hub where about 10,500 expatriates are employed. Several international schools and hospitals have been established through the years. Pattaya boasts some of Thailand’s finest hotels and resorts, golf courses, and every other recreational facility you can imagine, such as shopping malls, entertainment and, of course, a notoriously famous nightlife scene. The large array of golf courses in Pattaya also makes the Eastern Seaboard area of Thailand a very popular destination for golf holidaymakers from around the world. With over 20 courses to choose from, Pattaya is one of the most diverse areas for golfing in Thailand.